Pinebrook Farms is a 40-acre community of single-family homes that features plenty of green space for outdoor recreation, scenic walking trails along the creek, and a community center with a clubhouse, heated swimming pool, barbecue area and fitness room. The community is only 15 minutes to downtown Asheville, the Blue Ridge Parkway, Beaver Lake and Asheville Country Club. Major shopping destinations are only a couple miles away, as is great healthcare in Weaverville. The neighborhood features arts-and-crafts style homes with customizable floorplans and finishes. 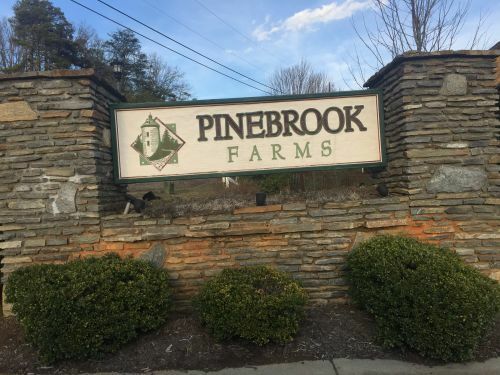 Pinebrook Farms is zoned for Weaverville Elementary School, North Buncombe Middle School and North Buncombe High School.